Kendra from Luv 2 Scrap 'n Make Cards here today to share a project with you! I am so SUPER excited to share my project with you today!! It was my little sister's birthday recently and she LOVES nail polish! 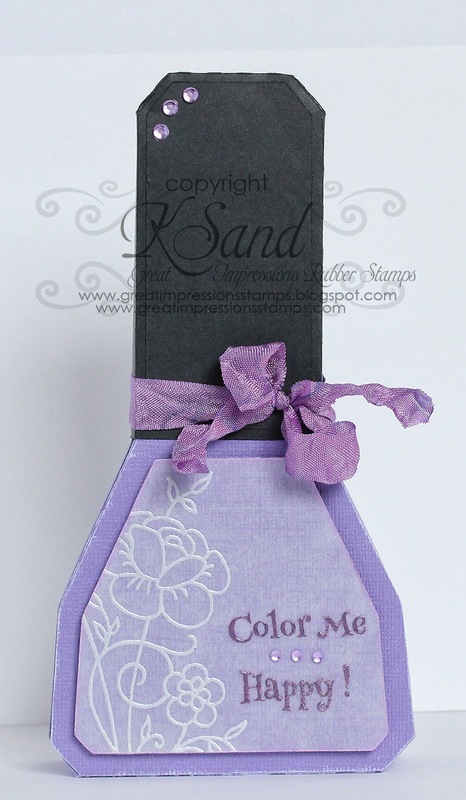 So when I seen the new Color Me Happy (C464) stamp I knew I had to create some kind of fun project for her! Isn't it fun?! I personally LOVE it!! She loves painting her nails along with painting my little girl's nails, so she'll love this! I also used the Flower Bouquet (J110) stamp to add the pretty floral design to the nail polish bottle!